Few openly challenged Pat Hickey. Sportswriter and Lance Armstrong nemesis David Walsh was one. Is there anybody out there who cares? 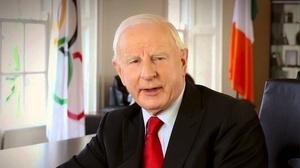 On, Friday, March 1 , the President of the Olympic Council of Ireland (OCI) Pat Hickey said that Roy Douglas, chief executive of Irish Permanent Building Society, was his personal guest at the 1990 World Cup in the US. The trip, according to Hickey, had nothing to do with the OCI. At the time, this newspaper, wrote that Douglas’s hotel bills at the World Cup were paid by the OCI. On Tuesday morning last, March 19, Pat Hickey admitted in an RTE interview that Douglas’s hotel bills in the US were paid by the OCI. If Douglas was Hickey’s personal guest at the World Cup, why did the OCI take care of his hotel bills? At a prestigious OCI banquet in December 1994, 48 Irish Permanent people were guests at a function where most of those present paid £30 for their tickets. Quizzed about this unusually high representation from one company, Hickey says that the OCI were working with the Irish Permanent on a “special deal” to provide permanent headquarters for the Olympic movement in Ireland. Around this time the OCI were also negotiating with two other companies, AIB and a Shannon-based leasing firm, for the purpose of acquiring permanent headquarters. Neither AIB nor the leasing company were issued with anything like that number of free tickets: the AIB (official OCI sponsors then and now) got six, the leasing company did not get any. Hickey has never offered a convincing explanation for the presence of so many Irish Permanent people at that OCI banquet. Other aspects of the president’s performance raise important questions. Even though the OCI has a marketing subcommittee; Hickey personally negotiated a sponsorship deal with Opel which secured the use of an Opel Omega for himself until the end of the year. The other elements of the deal are that Opel provide visiting dignitaries with cars while they are in Ireland and Opel, through its parent company General Motors, will provide cars for the Irish team at pre-Olympic training in, Fort Lauderdale and then at the Games in Atlanta. Questions have also been asked about the OCI’s level of administrative spending. This newspaper sought, details of credit card payments for 1995 (five officers have OCI Visa cards) but the president refused to make them available. Two members of the current OCI executive committee, former Olympian Brendan O’Connell and hockey administrator David Balbirnie, have asked that John Purcell, the Comptroller and Auditor General, be brought in to examine the accounts of the Olympic Council of Ireland. O’Connell and Balbirnie insist that administrative spending is not properly recorded and receipted. Last year the OCI received in excess of £lm of taxpayers’ money. O’Connell and Balbirnie have written to Purcell, formally suggesting that he look at accounting procedures in the OCI. Given that the Comptroller and Auditor General exists to serve the taxpayer, it would be a surprise if he did not want te examine the OCI books. Pat Hickey agreed to pay the travel and accommodation costs of Sports Minister Bernard Allen’s children while the Minister was on OCI business in Atlanta last Easter [along with the minister’s private secretary Austin Mallon and his wife]. Hickey insists that the ‘expenditure’ on the Minister’s family was miniscule and that ‘the rewards’ were great but what matters here is not the amount but the principle. Funded by the taxpayer, the OCI should not be paying for the flights of the Minister’s children and,the Minister should not have allowed it to happen. In other democracies, this would lead to resignations but not everyone here is overly concerned. Fianna Fáil, the main opposition party, has not uttered a word of protest. Does this mean they approve of a Minister’s family, holiday being part-funded by the taxpayer? Hickey’s leadership style has led to many personality conflicts. As well as alienating fellow executive committee members, Balbirnie and O’Connell, there is a rift between. Hickey and the OCI’s fundraisihg committee in Atlanta. In a Morning Ireland interview on Tuesday, Hickey stated that the US fundraisers used money they had raised to cover their travelling costs. Not so, say the Americans, who are considering legal proceedings against the president they are supposed to be helping. Where this ends is anyone’s guess. That Hickey’s position as OCI president has been undermined by the events and disclosures of the last three months is beyond dispute. Whether he remains on as OCI president is less certain. His future is in the hands of his own executive committee and in the 28 Olympic federations that he serves. 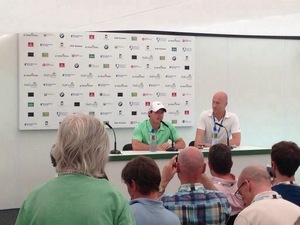 Whatever happens, the Olympic Council of Ireland has been greatly damaged by the current controversies. Hickey is a battler and in the business of sports politics he is a survivor. Balbirnie and O’Connell, however, have pledged to continue with their fight within the OCI’s executive committee until Hickey resigns. But they believe that there might be moves to replace them on committee. Removing the dissident members, though, will not get rid of the OCI’s problems. The ‘seven day wonder’ is now in its fourth month and shows no sign of ending. Balbernie and O’Connell believe the only solution is the resignation of Pat Hickey. As of now, with the damage the continuing controversy is causing to the OCI and by extension to Irish Olympians, that seems to me to be the only solution. The man who sent me my first legal writ 20yrs ago, Pat Hickey IOC member, was arrested in Rio de Janeiro this morning re ticketing scandal. First writ from Mr Hickey followed by 20+ others we eventually get into courtroom his legal counsel asks for adjournment, that was it. Over. Posted in Misc and tagged Atlanta 1996, David Walsh, Olympics, Pat Hickey at 10:17 am on August 18, 2016 by Aaron McAllorum. Where are O’Connell and Balnernie now? ‘Hickeyleaks’ should really catch on. Although thinking about it, it would irritate me if it did. Either way, can’t claim it. Have RTE more reporters out in Rio than Irish Athletes? 75……… doubt BB have that many and they have medal events to cover. Tax payers money well spent. They must be off enjoying the events rather than looking for news! If BBC had less than twice that figure I would be astonished. 9 per medal while we have 37.5 per medal. Think there is little need for half that! BBC showing a lot more action too, albeit Team GB focused. RTE have too much analysis in the studio in D4! Actually I found RTE’s analysis to be better than BBCs. Particularly the swimming. It’s not about winning, it’s about taking part. Apparently. Not sure why they give out medals, though. RTE coverage on NewsNow round the clock. Excellent. However they have forensically gone through the boxing woes , they brought in IABA CEO Fergal Carruth for a grilling, which he handled very well but they have not asked any of their panel about Hickey. I think Sonia O’Sullivan would be well placed to give an insight after working closely with him as Chef de Mission in London 2012, a prize that was in Hickey’s gift. I think the key thing about being a propped-up tax-payer funded pig at the trough, is to appear as if you are not taking the piss, you might get away with it longer, the problem is, these pillars of our society just keep taking the piss, heads of sporting organisations, medical organisations, Tax-payer funded banks, so-called charities, the many various boards, all taking the piss. The well-spoken Piss-Taking Class. Articles like this might start to give the casual observer (of which most here seem to be) some idea of how succesful and competant Hickey is at being an absolute slibhin. The man is cut from the same cloth as Samarach, Blatter and the rest of them. He’s not alone either. Anyone who rises to the top of the olympic cream is likely to have the same politcal chops. Just look at who’s currently standing in for him. At this point, If he somehow survived his current predicament it wouldn’t be that surprising. edit not just Atlanta – it was the USA east coast. How could I forget Giants Stadium? I think you are confusing the 1996 Atlanta Olympics with the 1994 USA world cup which happened all over the USA on boath coasts. No world cup ’94 games were played in Atlanta. After Hickey put Ross in his box, earlier this week, he indicated that he had invited the Minister to have dinner with him tonight (Thursday), is that date still on. Whats on the menu, Porridge/Humble Pie ? Brazil could teach Ireland as how to deal with those with can help then in their enquiries into wrong doings. Maybe it was just me….but I was waiting for this to happen…just waiting.. I hope someone with more powers than me is investigating whether there’s any relations between Austin Mallon and Kevin Mallon? The 90s was still a time of blatant bribery and corruption without any real effort to hide it. Printing companies regularly sent civil servants and their families on trips to Disneyland in exchange for huge contracts. Their wives were bought new cars every few years, school fees paid for kids. It was widespread and worth a lot of money. Ah the good old days when David Walsh used to investigate stuff….. He has been in the job for 27 years. There really should be term limits in organisations like this. Being in the job for that amount of time tends to make people feel they own the place and can do what they like. Especially in sport where people are put on a pedestal and made into heroes in a way they aren’t in other fields (and I don’t just mean athletes). Are you referring to Hickey or Walsh? I really hope Rio police put underwear on that yoke when he leaves hospital. Shrivelled wobbly bits 1st thing in the morning isnt any good for ones constitution. 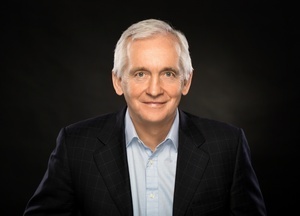 David Walsh for Uchtarain na hEireann……….. There were good interviews on The Last Word last night about Hickey. You could tell the journalists were chomping at the bit to say more. And Cooper has been sued by Hickey in the past as well it seems. Thomas Barr’s coach couldn’t afford to travel to Rio and had application for funding to travel turned down. Hickeys wife was in the hotel room and blatantly lied to the Brazilian police that Hickey was not in the hotel. They found him hiding in his son’s room. I wonder did his wife and son pay their own travel costs? Do you have a source for the no funding for Barr’s coach story? (just so I can fume more). It’s a fupping discgraceful set of circumstances and not the only case of families of competitors not being able to get tickets free or even at face value from the IOC. Like checking the credentials dished out by the RIo organisers to all the Coaches and noncompetitor members of Team Ireland. And who had them hanging off their neck.